Have you been planning for years to buy a big and luxurious home in Kansas City, Missouri where you can live with your family and create sweet memories? Still short of money required for the upfront cost? Think you might have to wait for few more years before you can apply for a mortgage to finance and realize your luxury home buying dream? Then wait, you might want to consider the 95 percent jumbo purchase loan option. 95% Jumbo home loan financing starting to be offered by select lenders and banks across Kansas City making it easy for luxury home buyers to realize their American homeownership dream. Generally, a jumbo loan gives home buyers a chance to buy luxury homes in high-cost areas on a mortgage where the loan amount exceeds the conforming limit. The conforming limit of the loan may vary on the location. 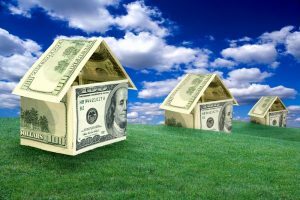 It is higher in areas with higher housing prices and set by the 2 government-backed agencies, Freddie Mac and Fannie Mae. In Kansas City, Missouri, the conforming loan is currently $484,350. Defaults on jumbo loans make it difficult for lender and banks to cope with the losses incurred. It’s all about risk. Having said that, a select few mortgage companies in Kansas City are offering borrowers 95% jumbo home loans. What distinguishes these loans from standard jumbo loans, is that in most cases, no mortgage insurance is required and that they are offered at 95 percent LTV (Loan To Value). This means that you will only need to make a down payment of 5 percent in order to qualify and finance your luxury home buying dream. So, if you’re considering buying a home worth more than $484,350, have a FICO score of around 700 but don’t have adequate finances to pay a big down payment of 20 percent, then the 95% jumbo home loan might be a good option for you. Get in touch with us today to explore your options and make the best choice. Please just submit the Quick Contact form on this page or call ph: 800-962-0677.